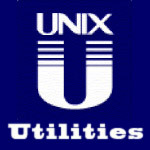 This is the second post in the article series about Unix utilities that you should know about. In this post I will introduce you to the netcat tool or simply nc. Netcat is often referred to as a Swiss Army knife utility, and for a good reason. Just like the multi-function usefulness of the venerable Swiss Army pocket knife, netcat's functionality is as helpful. Some of its features include port scanning, transferring files, port listening and it can be used a backdoor. Netcat is ranked #4 in "Top 100 Network Security Tools" survey, so it's definitely a tool to know. See the first post on pipe viewer for the introduction to this article series. If you feel like you are interested in this stuff, I suggest that you subscribe to my rss feed to receive my future posts automatically. Let's start with a few very simple examples and build up on those. It's actually much more handy than the regular telnet because you can terminate the connection at any time with ctrl+c, and it handles binary data as regular data (no escape codes, nothing). You may add "-v" parameter for more verboseness, and two -v's (-vv) to get statistics of how many bytes were transmitted during the connection. Talking of which, the chat can be turned to make two processes talk to each other, thus making nc do I/O over network! For example, you can send the whole directory from one computer to another by piping tar to nc on the first computer, and redirecting output to another tar process on the second. Don't forget to combine the pipeline with pipe viewer from previous article in this series to get statistics on how fast the transfer is going! The "-n" parameter here prevents DNS lookup, "-z" makes nc not to receive any data from the server, and "-w 1" makes the connection timeout after 1 second of inactivity. After you have sent the request on port 12345, connect on port 12346 to get the data. The consequences are that nc is a popular hacker tool as it is so easy to create a backdoor on any computer. On a Linux computer you may spawn /bin/bash and on a Windows computer cmd.exe to have total control over it. That's everything I can think of. Do you know any other netcat uses that I did not include? If you're on Windows, download the Windoze port of it from securityfocus. The manual of the utility can be found here man nc. Have fun netcatting and until next time!